One of the year’s best PS4 exclusives and one of the best games overall is about to get the comic treatment. 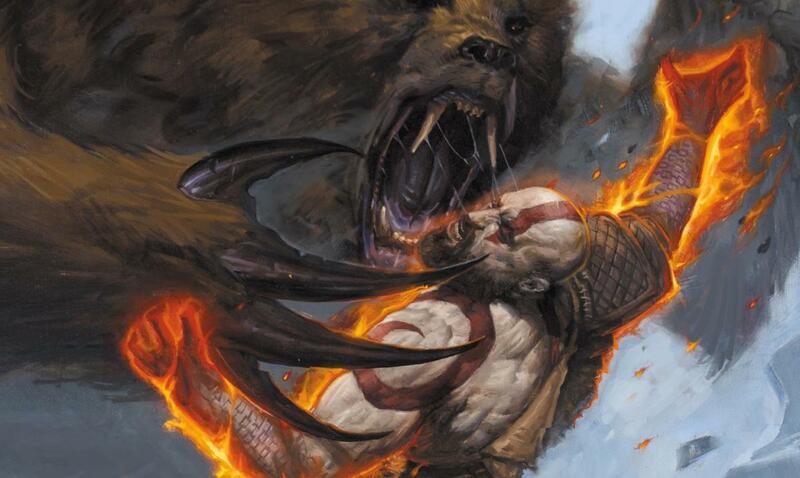 Dark Horse have announced that they are working on a mini-series for God of War that will further expand on the lore found in the game. Due for its first issue this November, God of War will run for four instalments and features writing from Chris Roberson, art from Tony Parker, coloring from Dan Jackson and also lettering from John Roshell. That’s a veritable who’s who of talent. It’s unclear whether or not this is set before or after the events of the PS4 game, but with no mention of Atreus and the Kratos in the cover art looking a little younger, it’s likely set before. God of War’s PlayStation 4 debut was a huge success for Sony, going on to sell millions of copies and proving that single-player games are here to stay. We were big fans of the game, going on to give it a 10 out of 10 in our review while praising the gameplay, story, and visuals. God of War #1 will be available on November 14th, 2018. End the dabbing, save a life. Again.